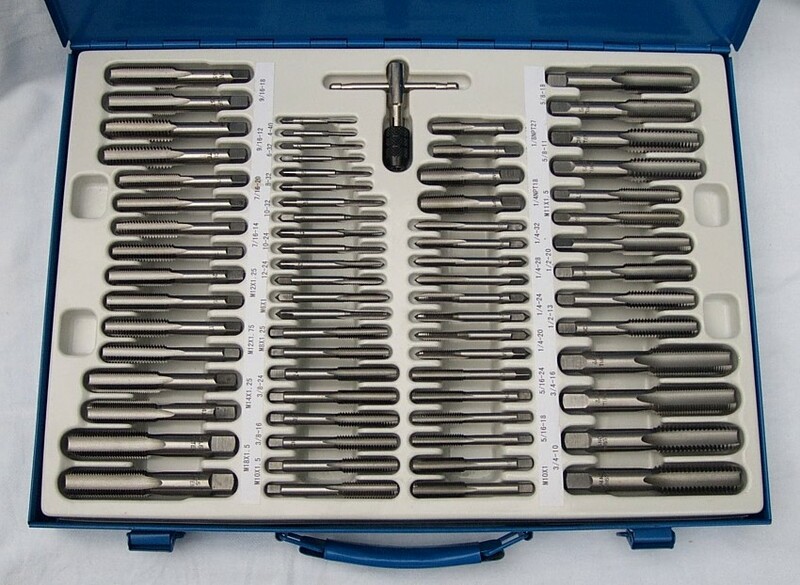 Discussion in 'Tools and Procedures' started by grumpyvette, Feb 23, 2009.
keep in mind thread chasers are not TAPS, they are designed to straiten bent threads and clean them without cutting or removing metal, while taps actually cut threads and remove metal. your local pro-tool supply stores will generally have a wide selection but don,t be surprised at the prices for the better sets, and be aware the cheaper sets are just that..cheaper, and usually not in a good sense! you generally get what you pay for and taps and dies run from pure crap imported from over seas (INDIA/CHINA) that tend to cost well under $100 for a 40 piece set, too high quality American or German made sets easily costing $300 plus, yes the more expensive sets ARE WELL WORTH IT if you are doing an almost constant repair and assembly, the cheap crap tends to break and cause almost as much grief as its supposed to cure! that the tools had a bit of surface rust on only a few pieces and one or two missing pieces but he only paid a negotiated $130 for both sets. even attempt to do an oil change, he simply bought the stuff because hes seen similar stuff around my shop and realizes its not cheap, and he got it at a bargain price. Spiral Point Tapsâ€” Also known as gun taps, they have an angular point that shears and shoots chips out ahead of the tap. This keeps chips from clogging the flutes, thus reducing tap breakage. Spiral point taps are generally stronger than hand taps and can be run faster with less power. Use them in through-holes and holes two diameters deeper than the required thread length. Hand Tapsâ€” Have straight flutes for hand and machine threading. Although most are used in machine operations today, the traditional name "hand tap" lives on. Spiral Flute Tapsâ€” Also called helical flute taps, the spiral flute uses a lifting action to remove stringy chips that form when tapping soft materials such as aluminum, brass, copper, and magnesium. Use in deep holes, blind holes, and holes with a keyway or gap. Pipe Tapsâ€” Use for internal threading of pipe, pipe fittings, and holes in which you'll be assembling threaded pipe. Specialty Tapsâ€” Include thread forming, extension, nut, ACME tandem, and combined taps and drills. Most taps are made of high-speed steel in grades M-1 and M-7, which are for use in a variety of applications on ferrous and nonferrous materials. High performance taps are made of premium high-speed steels and work well on stainless steel, nickel-based alloys, and other exotic metals. Premium steels add abrasion and heat resistance for longer tap life and better tap performance. These taps also have a special cutting design for lower machine power requirements, better chip removal and coolant flow, better thread finishes, and closer tolerance pitch diameter size. 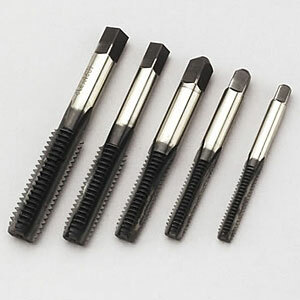 Use carbide taps for highly abrasive materials such as cast iron and aluminum. Also excellent for use on cast brass, cobalt chrome alloys, copper and copper alloys, fiberglass, and soft plastics. Carbon steel taps are for jobs that don't require the accuracy of high-speed steel taps and don't need resistance to heat and abrasion (such as in some hand-tapping jobs). Surface Coatings Coatings improve tap life by as much as 300 to 800 percent over uncoated (bright finish) taps. They also improve the part's surface finish and let you use faster cutting speeds. TiN (Titanium Nitride)â€” This gold-colored coating works with a variety of ferrous and nonferrous materials. Not for wrought aluminum and titanium alloys. TiCN (Titanium Carbonitride)â€” Harder, tougher, and more wear resistant than TiN, TiCN is becoming increasingly popular. Works in a variety of ferrous and nonferrous materials. Color is blue-gray violet. Chrome Platingâ€” Adds hardness to tap threads, improves lubricity, reduces loading, and offers cool cutting. Use on a wide variety of ferrous and nonferrous materials. Silver color. Oxideâ€” Prevents buildup or welding of workpiece materials on tap surfaces in ferrous materials. Reduces friction between tap and workpiece while providing a porous layer to hold lubricants. Avoid use with nonferrous materials. Blue-black color. Oxide Over Nitrideâ€” Use on ferrous materials, high-temperature alloys, titanium and titanium alloys, free-machining steels, iron, high-tensile steels, and stainless steels. Blue-black color. Nitrideâ€” For use on both ferrous and nonferrous abrasive materials that dull taps. 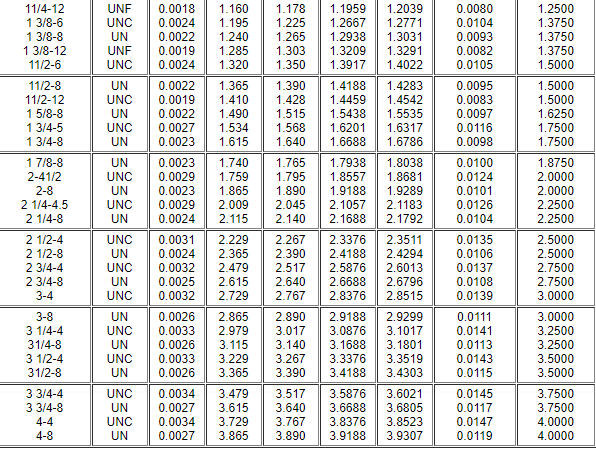 Improves surface toughness of the tap. Use on aluminum, cast iron, brass, bronze, die castings, magnesium, zinc, and copper. Colorless. The use of tapping fluids is highly recommended for best tapping results. Using tapping fluids increases tap life and production, provides more efficient control of chips, and reduces the frequency of tap resharpening. Fluids are more effective if applied under pressure. 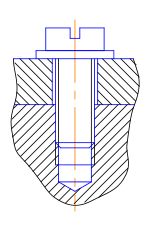 Using a top and bottom stream of fluid is desirable when tapping horizontally where the tap is stationary and the part revolves. 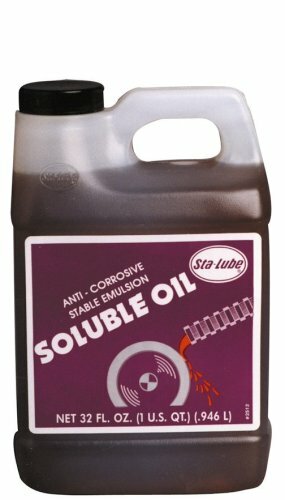 Do not use a lubricant with hard plastics. Use compressed air to remove chips. I am a retired maintenance pro with years in the trade , The real test of any cutting tool is how it works on Stainless Steel , Stainless can work harden and become vary tough to drill as well as Tap and Dies have lots of problems on Stainless round stock as well , Just to get you started , I can tell to not wast your time and cash on any discount store sets of Taps and Dies , IE. China ,Taiwan ,Japan, Mexico . They just can't make good cutting tools out of Old scrap Cars ,from USA.junk yards .Not all retail items out of China are bad ,like guns their AK47ens seem to work vary well but gun steel is vary soft and EZ to work with .And Japan made good Cars many years back (but getting junker every year) .And Mexico has lots of good oil we could buy ,but they will not drill for it, maybe thats why they are so poor and also will not let USA baced drillers come in and drill (Their Beer is OK). Even Taps that are made in the USA can have problems with Alloys like stainless ,and its no fun digging a busted tap out of say a cast iron engine block . You can get into a real mess , You must chip ,beat ,dig and drill out the screwed up mess and weld in the hole back in,re-drill and try to re-tap and god help you because ,Taping a weld is harder then the base cast Iron . So on with the show! Brands that I have used and will work well , Greenfield ,not priced to bad and hold up well . Hanson Vary good Dies and Taps .Reiff & Nester good . Little Giant older sets USA made, Good and only buy Ridged for pipe dies .Ace (not from Ace Hardware) just usable and For Home use Sears Hex Dies and tap set are usable on most stuff other than Stainless Steel and the Taps will flex some before they snap off And as for the Sears cheaper round Dies and tap sets not listed as Craftsman ,just marked Sears Don,t buy them most likely Asia junk,. A set made Dommer made in the USA are low ball junk on Stainless and maybe everything else other then wood and plastic. 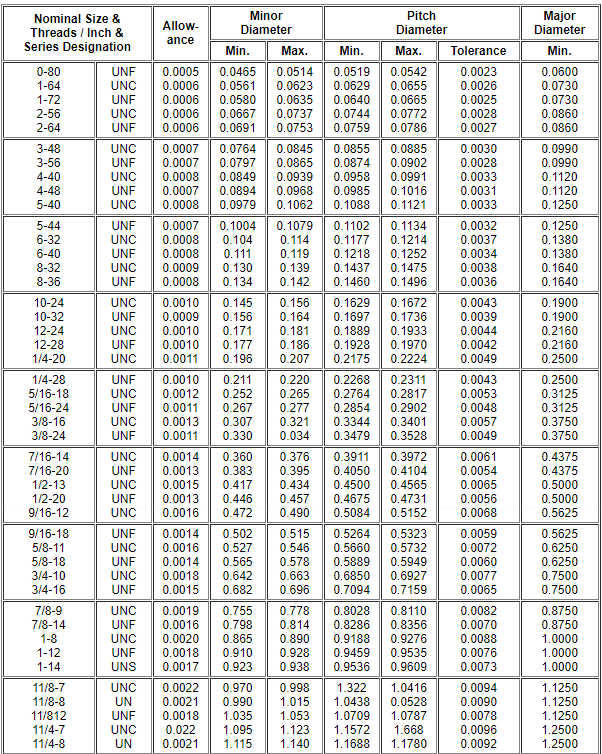 So you can see that all USA stuff may not be good . I have used Taps made in England with no problems and some Cobalt cutting tools from Spain have fared well . Real nice Tap holders are made by Starrett as well as Brown and Sharp (BEST) .Brown and Sharp,s stuff is light years ahead of all the rest and will hold up . Tool holders from General are just usable ,Hobby and Home fine light maintenence work also good ,But are not heavy duty! Some Greenfield sets are now made in Japan , I would try to stay away from Greenfield Jr.and O.K sets out of Japan . If you need to re-cut threads on say a bolt .Re-threading Dies are better than New cut Dies , Standard New cut Dies can under cut a Bolt then your nut will be vary loose and might not stay on under vibration .You should get good Quality Rethreading Die set ,Try Hanson .or look for USA or England .Also keep in mind TIN coated Taps that are cheap junk are still cheap junk .TIN coating will not fix poor Quality tools .Brubaker makes good TIN coated taps as well as Greenfield USA . If you by stuff that has Mack , Snap on , Ace Hardware (not ACE tools )NAPA ,Stanley , Irwin , Northern Hydraulic stamped on it , You don't have the foggiest idea as to who made it and if it states made in the USA it could be that just 20% of what is in the package was USA made and the rest came out of Asia (our bad advertising laws, state things like, if you say something like ITS SOLID OAK it must be at least 70% OAK and the back side can be card board and thats Bull SHi#) . And China Junk has Most favered nation statous and sometimes Made in the USA only meanes that the box was made in the USA and the JUnk in the box came from China so look out ! 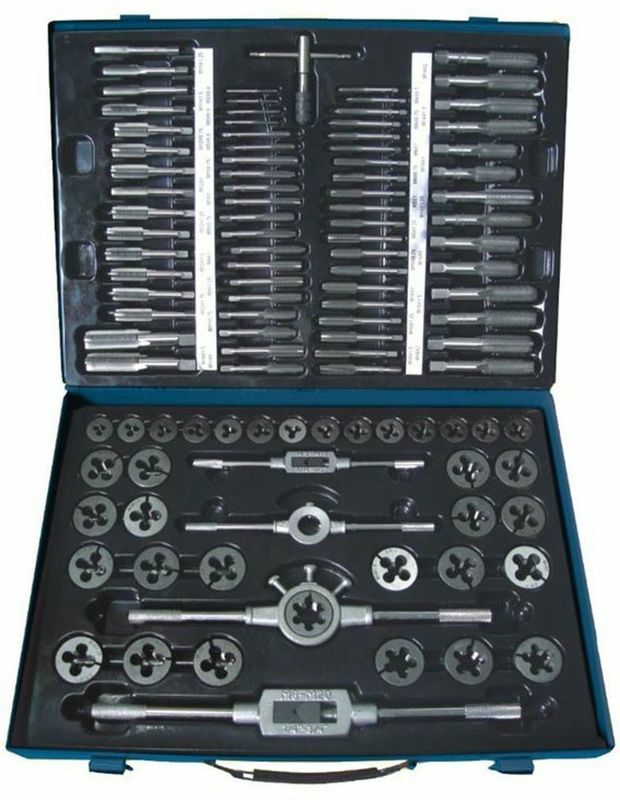 I have used cheap Discount Asia Taps and Dies and I can tell you they bearly work on Pot metal, Plastic and wood , Maybe China makes usable Tooling for use at home in China but the Junk that is exported to the Discounters is not worth owning ,as far as tools go And that includes the rest of Asia and Mexico for all cutting tools. And a lot of other stuff I am sure . Jet Makes Tap&Die sets Give them a pass(don't buy) ,Also If Taping soft steel use cutting oil or taping compound to coat the tap and hole.On Iron (not steel) water base oils or Pipe cutting oils or slow and dry with a sharp new tap ,Taping compound (like a soft wax ) is good, and Beeswax also works... ON Aluminum Alloys use no oil ! use air or Water as coolant or automotive Anti freeze and water . 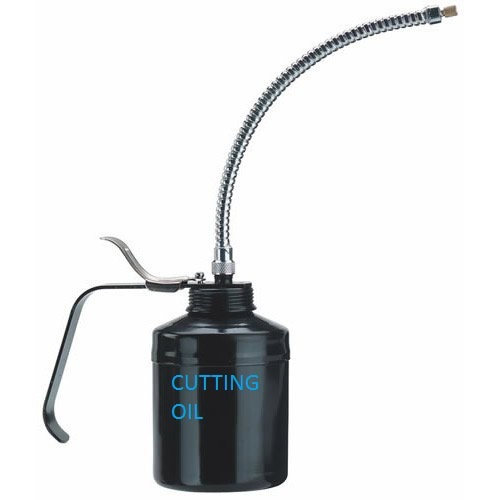 ON Stainless Steel use Tapping Wax compound also band saw blade cutting paste(green in a tube) or mineral oil (super thin oil Best) water mixed cutting oils OK .Taping into Copper use air or water . Tap Plastics Chilled as cold as possible and Dry. Tap hard rubber Frozen in dry ice , Tap Brass and Bronze also Bell bronze with Cobalt taps light oil or water or dry.Sand cast #1Navel gun bronze is one of the hardest things I have ever tapped Use wet Colbolt and go slow. Super hard steels must be heated dull red hot and cooled slow to remove hardness , if possible , Never over heat Stainless Steel dul red,even blacken ,It will become vary hard and Taps will brake . 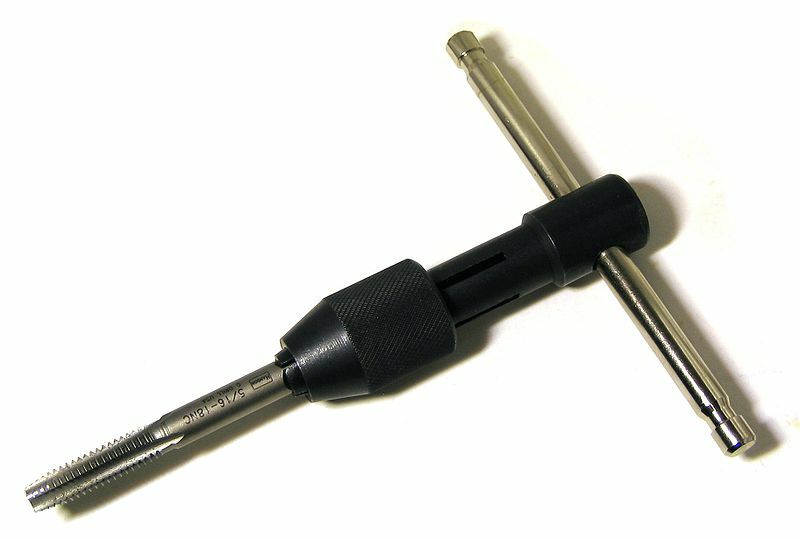 Drill slow and keep it cool (Cooltool good for pre drill and Tap as well). If for some stupid reason you want to tap wood coat the hole and the tap with hand bar type soap(thin coat) ,and use a clean sharp tap .IF the seller is honest and stated the Taps &Dies are imported STOP right their and don't give them a penney for that junk . 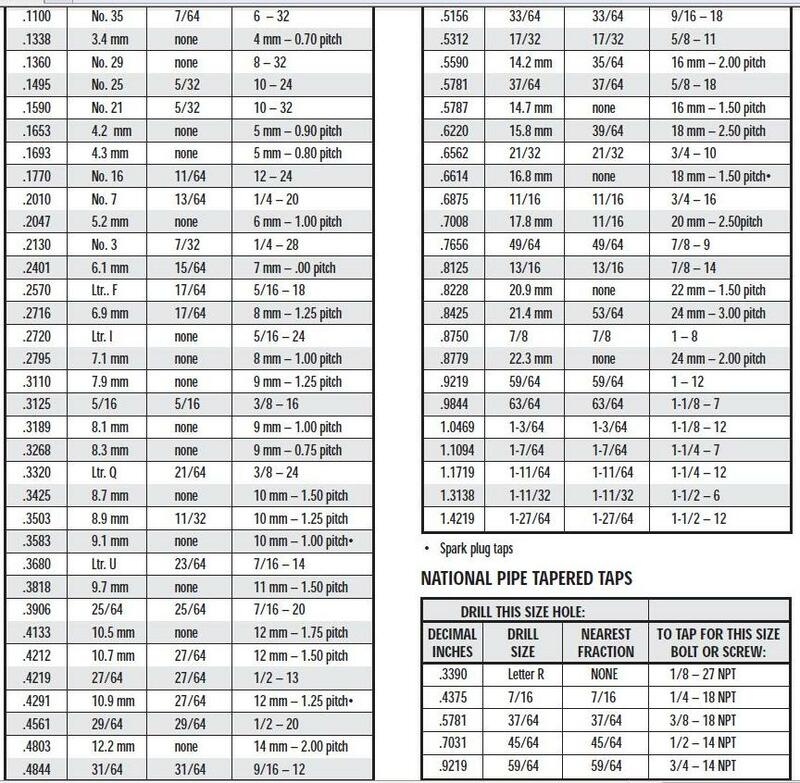 (Other than England and they will not be cheap) Taps that snap off in a hole are a real job to get out and if the cutting teeth snapping out of a Die it will just scrap what you are threading . A good rule for the dumb is avoid all import cutting tools TIN coated carbide steel or not .Tin coat ,Cobalt ,High Carbon ,And High speed steel all mean nothing if its Junk cutting tools , What is Tin ,its Titanium coating ,or a way to extend a cutting tools life . What is High speed steel -it is a some what softer cutting steel and works vary well for most hand tap & cutting jobs on most materials , (but not good on stainless steel ) High speed will dull fast but will not snap into as fast under load as High Carbon steel .Cobalt Cutting tools - if you want to hand drill out a vary hard bolt Cobalt steel drills are the way to go .Cobalt tools are for cutting Stainless ,Alloy over Rc 32 ,High heat steel , Bronze & tough Brass , Magnesium Alloy (hard) and a lot of Plastics(plastic will dull tools fast) .Cobalt tools are not cheap .High Carbon Steel Taps and Dies are for Difficult maintenance applications - They will cut almost anything but will chip and brake if not handled just right .Almost all rethreading die sets are High Carbon steel and if they are not they will not recut hard bolts .Last You can get Chrome treated Taps and Dies - Penta gray chrome will give a better thread finish on most soft to high carbon steels under Rc30 .Also standard Chrome finished Taps will hold up in damp or wet locations Reff & Nestor makes chrome treated cutting tools . If your taps and Dies get oily (not water based)don't wipe it off .Rusted Taps and Dies are scraped out and should not be used . Or clean and re oil them before storage .Let me know if this helped or not ,vote yes or n nce more If you need a Tap for just one job just buy a good tap and a good holder (just what you need),It might be less than a full set of Junk Asia Taps that will not do the job at all .Look for a industral supply outfit ,not a discount store for all cutting tools .Avoid Imported Asia Junk cutting tools at all cost they may do more damage then good ! What is the reason for the carb intake studs having 2 different threads? 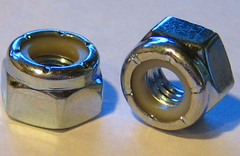 Specifically, since the coarse thread is for the intake, why does the carb nut have a fine thread? 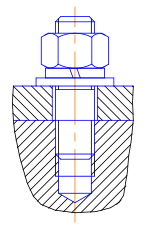 thread depth in relation to both the material used and bolt diam. effect max hold or clamping strength,assuming both the bolts and material threaded are approximately equal strength, in steel, a depth of 1 times the diam of the bolt should provide a grip on the thread section equal to or exceeding the elastic limit of the bolts diam. but 1.5 times diam. is a really safe minimum,(example a 5/16" bolt threaded 5/16" deep should hold the max tension the bolts capable of holding)but 2 times diam. should never fail.with either type threads. in aluminum the safe minimum thread engagement is about 1.5 times the bolt diam. but 3 times is a really safe minimum. ok, the coarse threads are supposed to be installed full length or at least to about 3 times their diam. MINIMUM depth in aluminum with a sealant like loc-tite on the threads, because theres zero stress loads being applied to the studs while they are being installed and tension stress is only applied after the threads are fully engaged over at least 3 times the diam. theres no strength advantage to using the finer thread pitch, because stress is only applied after the threads fully engaged. 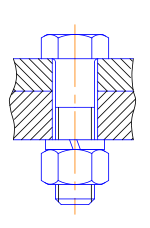 Fine threads have a larger Tensile Stress Area than coarse threads. Everything else being equal - bolts with fine threads are stronger in tension than bolts with coarse threads.